friendly, knowledgeable staff. immediate service for walk-in repair. service committee in the promised timeframe. Quick, fair, straightforward, phone is back to new. Very helpful and accommodating. New battery makes a world of difference. Only issue was the repair took over a half hour longer than I was quoted. Thank you! The person repairing my phone stayed late in order to fix my phone as promised. My phone looks totally brand new! Excellent service totally worth every single penny I spent there. uBreakiFix Cambridge is located at 950 Mass Ave, in a large residential condo building on the southside of Mass Ave. We are within a ten minute walk from Harvard Square to the west, and Central Square to the east. We love Cambridge because it is full of urban professionals, a ton of students, a big Google campus, and probably a half-million high end smartphones. Our specialties are smartphone repair, tablet repair, computer repair and game console repair. 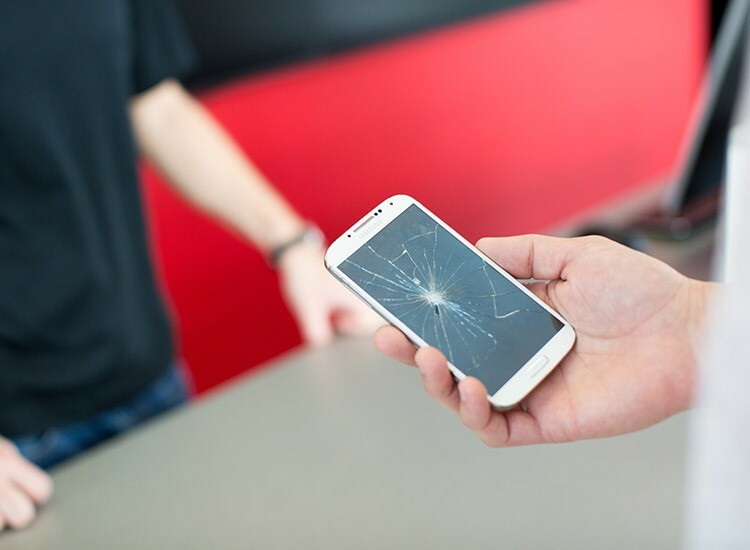 We can fix anything from a broken screen to parts that need to be replaced and even water damage. Our diagnostic services, including water damage, are completely free, so if you just want to know what your options are, this is the perfect service for you. A common misconception is that choosing to get a device repaired will take a long time and cost more than the device is worth. 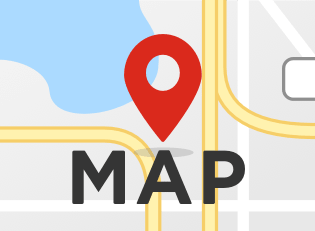 Our repairs take less than an hour and are completed right in our store, so you never have to worry about where your device is or whose hands it's in. We also protect your investment with our 90-day warranty that is valid at any ubreakiFix location across the country. The next time you have any questions or problems with your electronics, come in to uBreakiFix Cambridge. Some say RJ is an affable alien adapting to our society by applying his dimensional intelligence to our broken stuff. We can't comment on that, but he's skilled and accurate at repairing smartphones, laptops, tablets, beam weaponry, and game consoles. 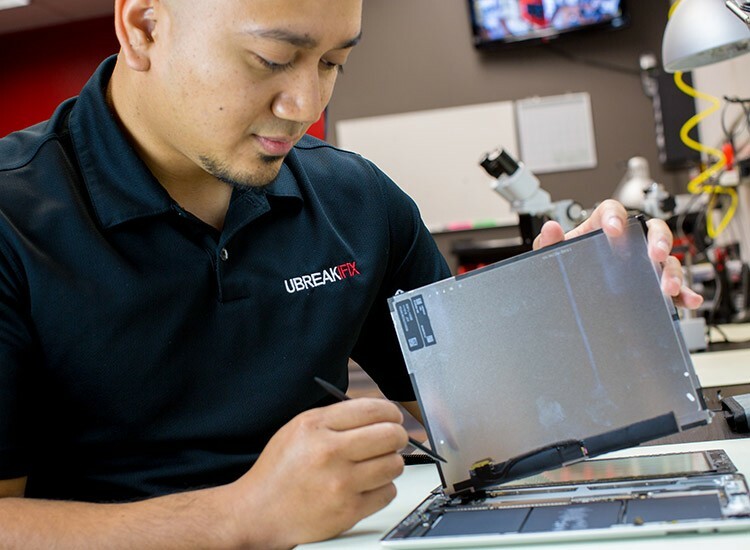 A naturally gifted repair man, David was top of his class at uBreakiFix training in Orlando and has the repair portfolio, speed and consistency of a ten-year veteran. David joined uBreakiFix from Job Corps in Maine, where he lived without WiFi for two years. Nick has a B.A. in Cognition with a minor in Computer Science from Vassar College, and recently returned to Massachusetts from Arizona where he was a controls engineer for manufacturing machines. Nick has not confirmed that the machines achieved singularity and took over, but why else would he be here? Jose has read every electronics magazine published in English or Spanish since 1992. In addition to his excellent smartphone and tablet skills, Jose is a Linux aficionado and is one of those people who masters something the second time he tries it. Prior to joining uBreakiFix, Marc served as an E-4 Specialist, Radio/Computer Operator and Maintainer, in the U.S. Army, and ran the repair services operation at Staples in Salem, NH. Marc is into the edgy, devil-may-care Android makers like Huawei, Xiaomi, and OnePlus. John has years of experience managing electronic device repair businesses. After joining us in Hudson, John opened our Cambridge store as the manager and loves the variety of interesting devices people bring to 950 Mass Ave. John still plays Pokemon Go.